The changing energy scenario has now become the focus of researchers, scientists, economists, industries and governments with the objectives of fulfilling current needs through advanced renewable technologies and looking towards the future with sustainable systems. 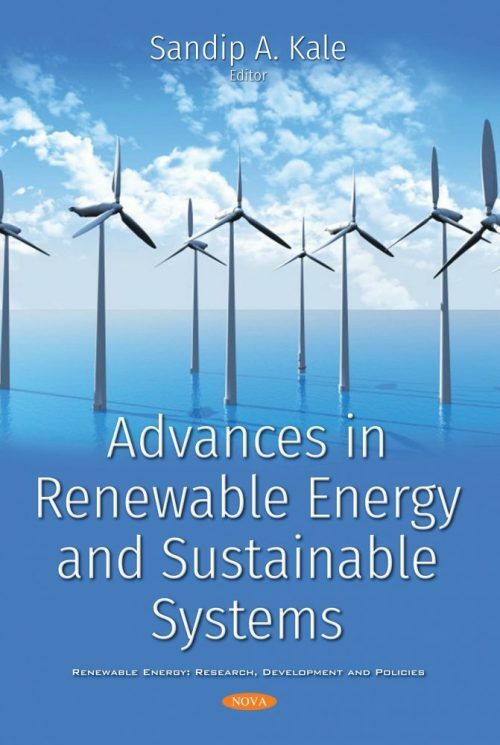 This book comprises fourteen chapters to discuss some noteworthy advances in renewable energy with some sustainable issues. Wind and solar energy are the major renewable energy sources and contribute significantly to renewable energy installations across the globe. 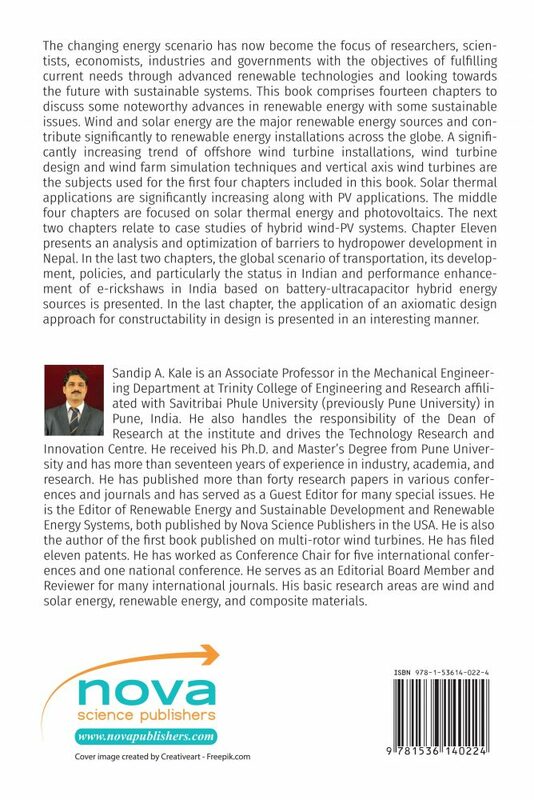 A significantly increasing trend of offshore wind turbine installations, wind turbine design and wind farm simulation techniques and vertical axis wind turbines are the subjects used for the first four chapters included in this book. Solar thermal applications are significantly increasing along with PV applications. The middle four chapters are focused on solar thermal energy and photovoltaics. The next two chapters relate to case studies of hybrid wind-PV systems. Chapter Eleven presents an analysis and optimization of barriers to hydropower development in Nepal. In the last two chapters, the global scenario of transportation, its development, policies, and particularly the status in Indian and performance enhancement of e-rickshaws in India based on battery-ultracapacitor hybrid energy sources is presented. In the last chapter, the application of an axiomatic design approach for constructability in design is presented in an interesting manner. Audience: Researchers and academicians in the field of renewable energy and sustainable development.